I love updating thrift store makeover's and never get tired of turning something dated, beaten and tattered into something new and beautiful. 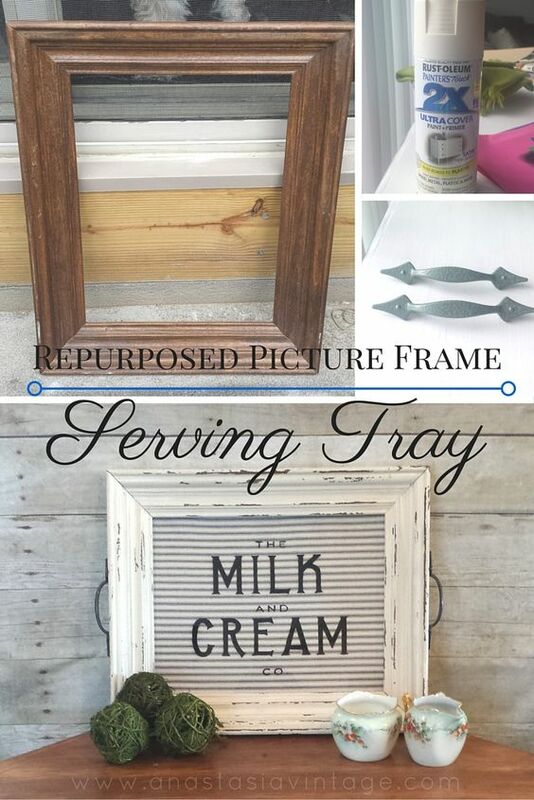 There's a great sense of accomplishment when you can completely transform a $5 garage sale item or thrift store find into a unique piece of decor. 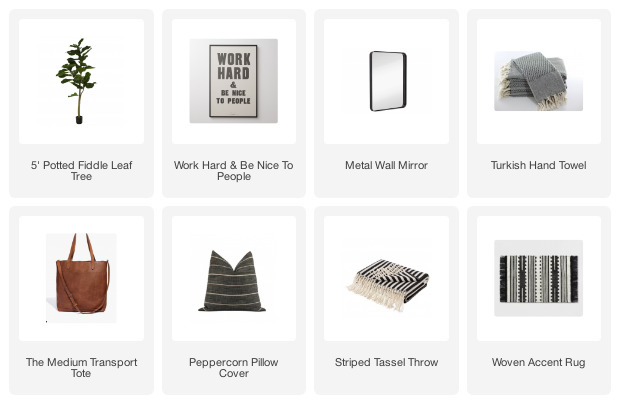 Shopping yard sales and sifting through secondhand stores may not be for everyone, but just think about all the money you can save as well as the beautiful pieces you can create. 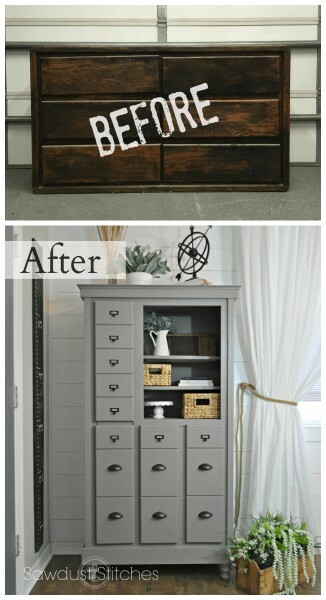 I'm always keeping my eye out for secondhand makeovers and wanted to share a few of my favorites from around the web. Please pin from the original source, thank you! 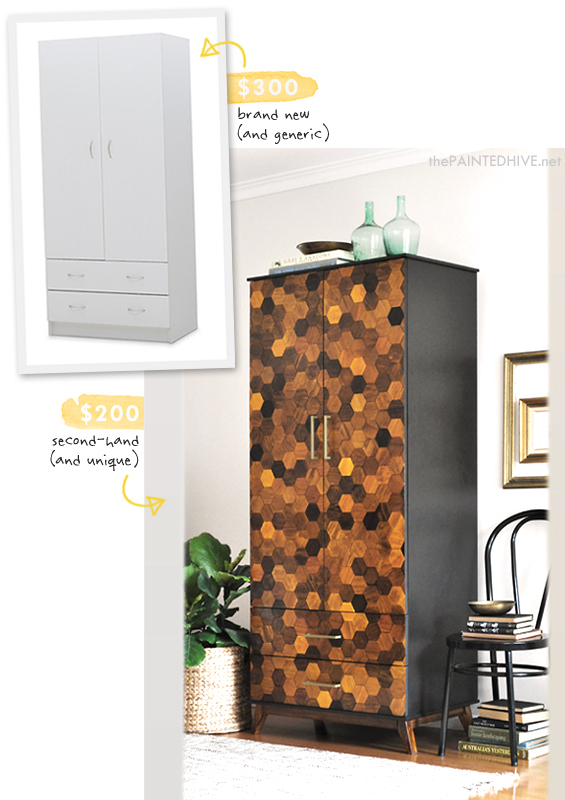 Wardrobe makeover from The Painted Hive. 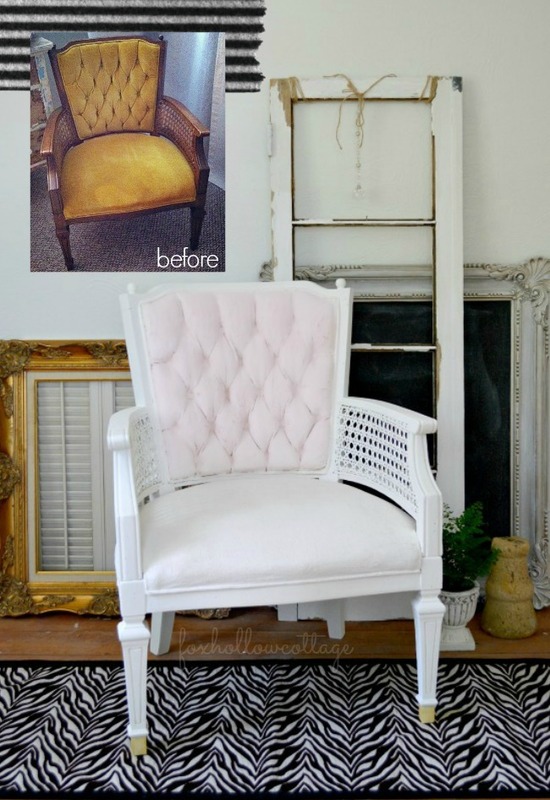 Velvet upholstered chair makeover from Fox Hallow Cottage. 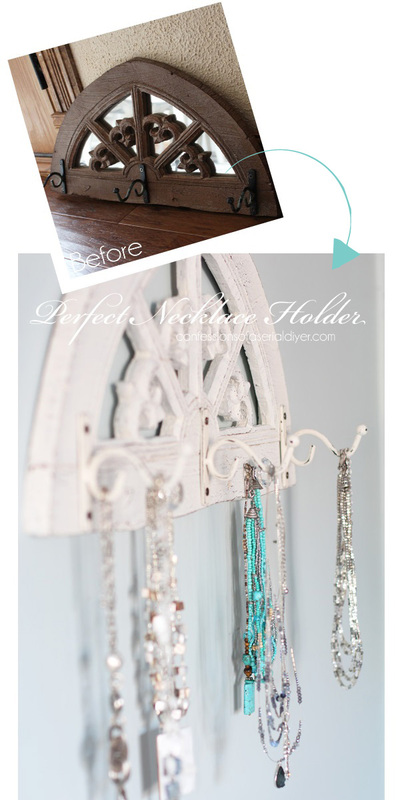 Necklace holder makeover from Confessions of a Serial Do-It-Yourselfer. $10 cabinet makeover from Censational Girl. 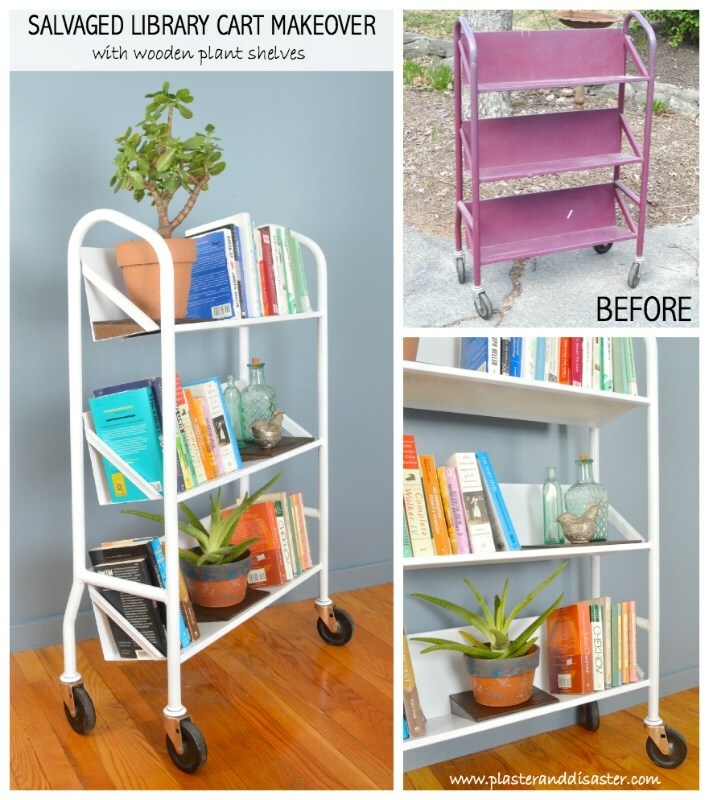 Thrift store bookcase makeover from Jenna Sue Design Co.
DIY jewelry storage from Confessions of a Serial Do-it-Yourselfer. 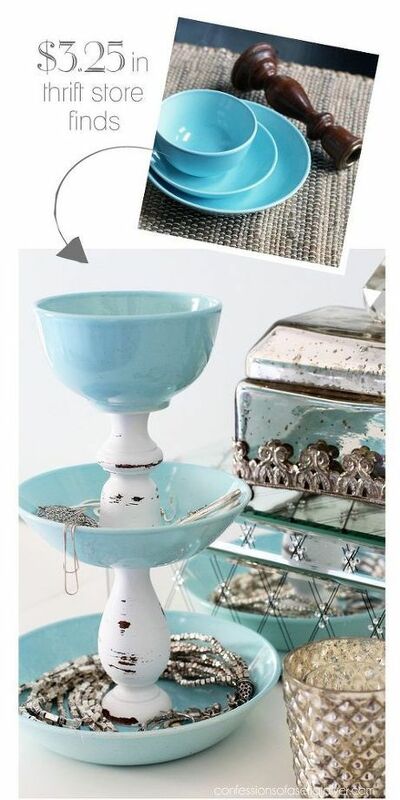 Picture frame turned serving tray from Anastasia Vintage. 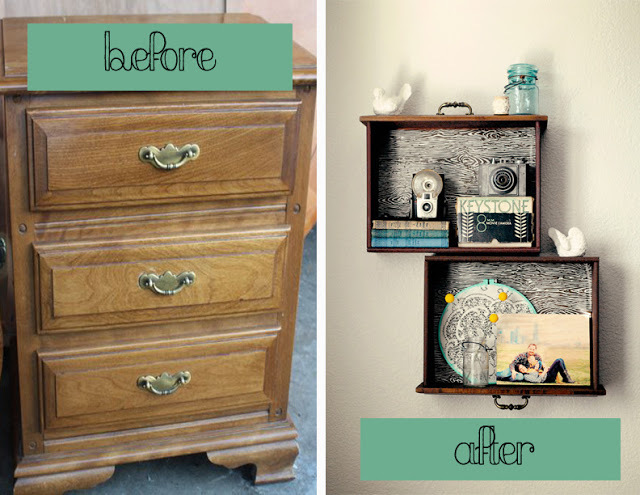 Dresser makeover from Sawdust to Stitches. 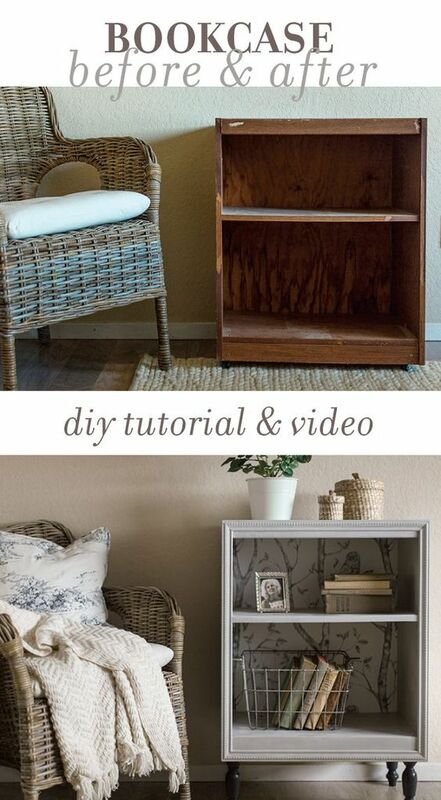 DIY drawer shelves from Shades of Gray. Bed turned bench from Just Jill. 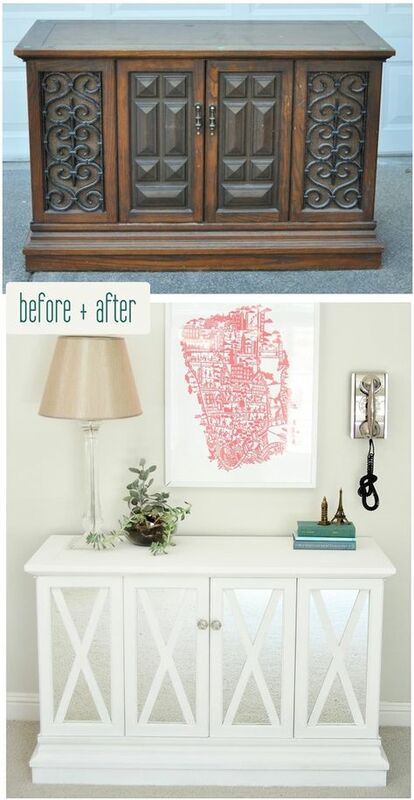 Cabinet turned antique printer's cabinet from Bless'er House. 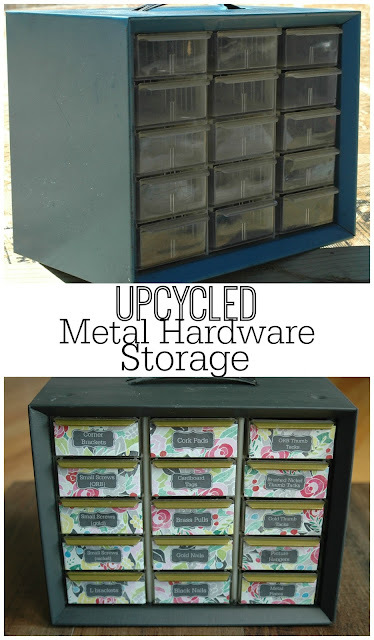 Feminine metal hardware storage makeover from Little House of Four. Library cart makeover from Plaster to Disaster. DIY tribal painted baskets from DIY Candy. These beautiful makeovers are just the inspiration I need to finally update a few pieces that I have laying around my own home. What about you? 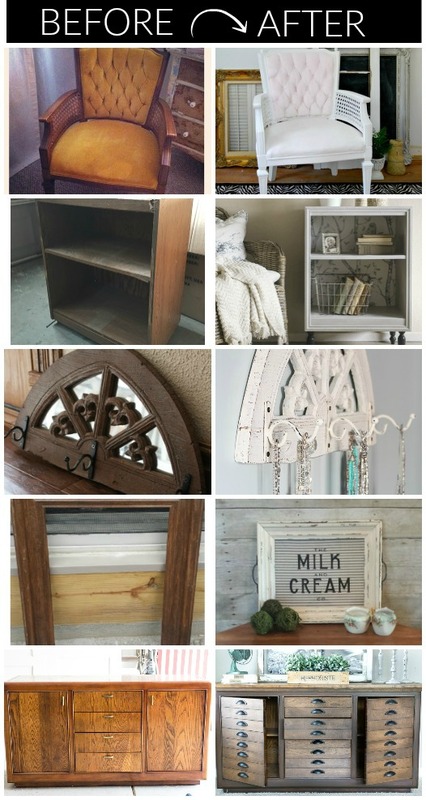 Have you updated any thrift store finds lately? 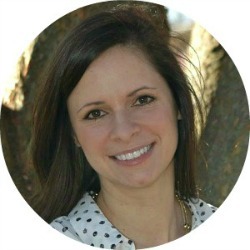 These are all great transformations - some of my favorites are in this mix!